Home > Activities & Events > Join Australia’s largest ever Easter Hunt for dogs! Sydney-siders, no matter how many legs you have - you’re up for a treat over the weekend. Australia’s largest dog party and Easter egg hunt, pooch ‘pawtrait’ corner, agility course, pooch pedicure, cakes and treats, toy testing area, BBQ and drinks. Sydney pups and their two legged plus ones are invited to Australia’s largest ever dog party for an Easter pooch-celebration to remember. On Sunday, 9th April at 11am at Blenheim Park, Australia’s leading pet-sitting network Mad Paws, will be hosting an Easter party filled with hours of fun filled games and treats to make your dog’s dreams come true. Reward your loyal best friend by bringing them along to this event, where they can be unleashed to run free in a specially closed off area. Kick off by letting your lovable furry friend go on an exciting doggie egg hunt before some much needed ‘me time’ with a relaxing doggie pedicure in the ‘Pooch Pedi Parlour’. Once relaxed and looking their best, your pup can go to the pooch ‘pawtrait’ corner - to pout a pose for a picture to take home. If your dog is more of an adrenaline junkie, they can let loose with other like minded dogs, in the specially designed agility course. 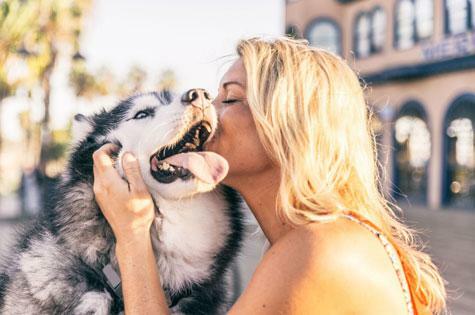 The adorable event is hosted by Mad Paws, Australia’s largest pet sharing network, that connects pet sitters and dog walkers with busy, local pet ‘parents’. Mad Paws has also teamed up with animal heroes, the Sydney Dogs and Cats Home and vet-supported retailer PETstock to ensure that this day is something that canines and their humans won’t forget in a pooch-long lifetime. All donations raised at the day will go towards the efforts Sydney Dogs and Cats Home puts into saving precious pups. The day will finish off with a human-friendly BBQ, a massive dog Easter cake and cupcakes. Say a big THANK YOU to your best friend with this party of a lifetime. Educational weblogs about Dog Bones and Natural and organic ingredients are deemed less dangerous, since products of those elements are analyzed much more thoroughly and have less contaminants, the more fresh and more pure the ingredients, the better. We were very impressed with the shop and the high quality components they’re utilizing. Everyone had wanted to solution any queries we’d too. All of us bought the 72oz poultry and rice for the puppy to ensure the lady likes it. So far, so great; she loves this. We’ll certainly be back for additional porterdog.com.